German solar power plants fed a whopping 22 gigawatts GW of power per hour into the national grid on Friday and Saturday, 26/5/2012, at midday hours, setting a new record by meeting nearly half of the country’s weekend power demand. After the Fukushima disaster, Japan opted to shut down all of its nuclear power stations and Germany followed suit after considerable public pressure. 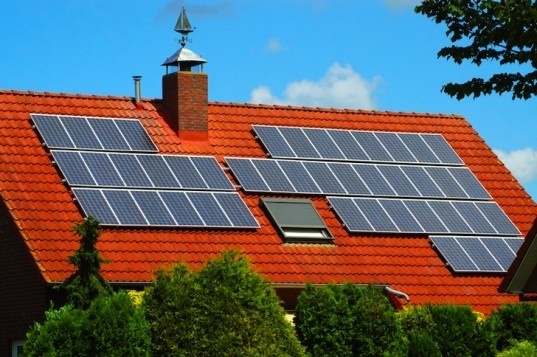 This seems to have paved the way for greater investment in solar energy projects. The Renewable Energy Industry (IWR) in Muenster announced that Saturday’s solar energy generation met nearly 50% of the nation’s midday electricity needs. This was EQUAL to 20 nuclear power stations at full capacity. Germany’s solar power industry has always been a world leader, but since the the country closed eight nuclear power plants after the Japanese disaster and announced they would be shutting down the remaining nine by 2022, pressure to find alternative energy has mounted. This includes renewable sources such as wind, solar and biomass. By receiving government-mandated Feed-in Tariff support for renewables, Germany has became a world leader in renewable energy. Currently the country gets about 20% of its overall annual electricity from renewable sources and has nearly as much installed solar power generation capacity as the rest of the world combined. Like most other European countries, it is aiming to cut its greenhouse gas emissions by 40% from 1990 levels by 2020, but at this rate it is the country most likely to actually follow through. For the record, Malaysia pledged to reduce greenhouse gases by 40% of 2005 levels by the year 2020, subject to assistance from developed countries.